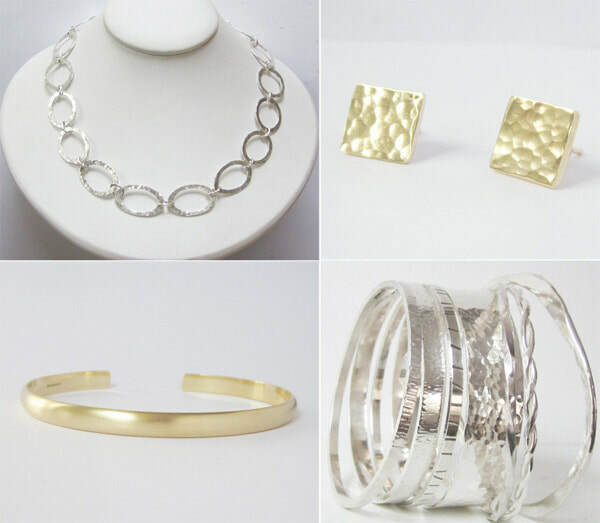 Handcrafted contemporary silver and gold jewellery designs. Drawing upon Danish roots I am influenced by Scandinavian Design; my pieces are simple, contemporary in design, timeless and elegant. I like to produce contrasts in my work, whether by texturing, oxidising or milling the precious metal. I particularly enjoy shaping the metal by forging and planishing and many of my pieces involve these techniques to give interesting textures to the jewellery I create. I also include interesting semi-precious stones in my designs and highlights of gold. Where appropriate pieces are hallmarked with my unique mark which is registered with the London Assay Office. I am also featured in the Crafts Council Maker's directory - more information available here . Ongoing - Cambridge Jewellers Guild exhibition at Primavera Gallery, Cambridge.